Eyes Forward, and Read as Your Curiosity Leads. It sounds wonderful…. Mother and kittens all at home underfoot, no cages, providing lots of love and entertainment for all. The reality is often a bit of a shock. Females calling. Females will come into heat every 2-3 weeks for 4-7 days at a time. This can vary. Some cats come into heat and do not come out until bred. When in heat the female will call (yowl, loudly) trying to call attention to her plight. This is a very loud call. I will have to say it is a sound that I cannot live with in my home. Caterwauling is strident and LOUD. Females in heat often spray urine to mark territory and not use the litter pan. Females in heat will attempt to escape when no males seem to be available in house! Females that have repeated heat cycles without being bred are prone to uterine infections and sterility problems. Males do not cycle like females… they are simply always ready for breeding. Temperament can be quite unpredictable with females in heat. Whole males are often aggressive when around other males or females in heat. Aggressive to people and unpredictable. 2. You need to have a male available for breeding. Many catteries are closed to outside cats. This is due to health problems and keeping the catteries clean from disease. To send a female out might mean that she is gone for a long period of time. Sometimes being at a new place takes the female out of heat and she has to stay longer than expected. I have had females come here for six months before being bred. Sending your cat to other catteries exposes YOUR cat to disease. 3. Your availability when kittens are due. Kittens are not born at convenient, well planned times! Emergency situations… finding a veterinarian to help. 4. Caring for kittens daily. Health: some kittens are born in need of help immediately, some die. Eating: learning how to tube feed for those situations when needed, and feed kittens every two hours if mother cannot. Socialization: handle them daily, spending time around them. 5. Selling and placing your kittens. Newspapers. Are you willing to have complete strangers call you at all hours of the day, give directions to your home, and have them come into your home? Cat magazines. Expensive. Crowded with advertising, competition from well established breeders and you need to place ads at least three months in advance of selling kittens. Internet. Cost, availability, having strangers come to your home. The main issue is that of safety and having people come into your home. But this type of hobby requires also that the buyer feel comfortable with how you are raising and caring for kittens and the health of your cats. It must be considered seriously. You still want to breed? There are new USDA/APHIS regulations that effect hobby breeders, these are highly restrictive and you must inform yourself. Many communities have ordinances on the number of cats you can have. Be sure to check the ordinances before you begin. “Breeding quality” is often presented to the public. Many times this is for pricing only and is not a true indicator of quality. Be sure to distinguish the difference when speaking to breeders and make sure what is meant by the term. You cannot tell 'show' or 'breeding' quality at 2 weeks old...Find someone that is willing to evaluate kittens to present an actual picture of the cat they are to become. This should actually be around 10-20 weeks of age. If you still want to breed, find an experienced breeder to mentor you. If the person you are buying your cats from can only tell you the wonderful things about the breed, their cats, and breeding in general, RUN. Take your time and purchase the very best cats possible, from someone who knows the breed, has shown, health tests and has been involved in different capacities. The Bengal cat is a breed that is not fixed in its look. It is changing… you will need to keep in touch with the breed and the changes. This means you need to show, visit other catteries and study basic genetics. None of this is for the faint of heart! 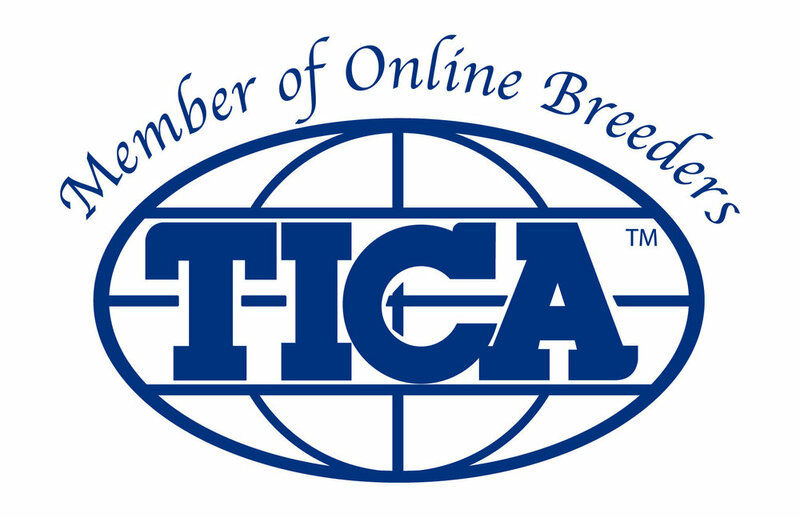 A-Kerr's only sells breeding cats to those TICA /CFA /ACFA breeders who we are actively mentoring or personally know, and whose interests are focused on improving the Bengal breed through health testing and breeding to a standard of excellence.